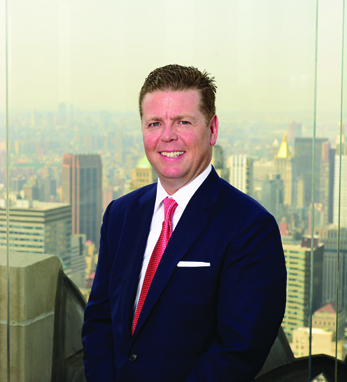 Sean Kilduff is a certified financial planner and managing director at UBS Private Wealth Management. He focuses on managing risk and delivering needs-based solutions to corporate executives, entrepreneurs, and their families. He is also a senior portfolio manager in the portfolio management program and concentrates on developing customized investment strategies that incorporate tactical allocations. Sean was named to the Financial Times Top 400 Financial Advisors 2015 to 2018. Sean’s mother was born and raised in Dublin and his father’s family is from Westmeath. He notes, “Having visited my grandmother in Dublin often, Ireland has been a part of my life from an early age. I gained a true appreciation for the world-famous warmth and incredible wit of the Irish people.” Sean lives in Rockville Centre, New York with his wife, Jean, and their four children, Declan, Kate, Brendan, and Caroline.